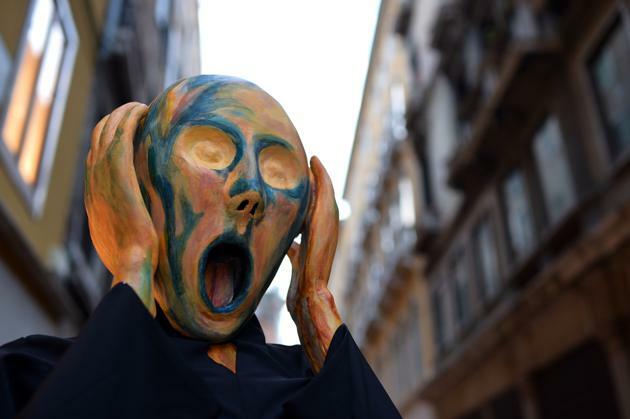 'DOOMED': Why Do Fundraising Emails Sound So Scary? If you were to judge the state of U.S. politics by the subject lines of party fundraising emails, you'd think the apocalypse was nigh. If you opened one of those emails — and why wouldn't you? — you'd realize these scorched-earth subject lines were a way for party operatives to work you into a lather about Democrats' chances of winning back the House of Representatives in November. By their telling, all hope is lost unless you donate $5 RIGHT NOW to defeat the evil Koch brothers. These scare tactics may seem excessive, but they appear to be working. In the 2014 campaign cycle so far, the DCCC has raised more than $29 million in online donations (this number includes donations over $200). That's $13 million more than the DCCC had raised online by this point in the 2012 election cycle. There's a precedent for the success of fundraising emails that strike fear into the hearts of partisans. In 2012, the Obama campaign's most successful fundraising emails had subject lines like "I will be outspent" and "Some scary numbers." Whereas some of Democrats' most successful fundraising emails in 2012 struck a casual, friendly tone — "Join me for dinner?" or more simply, "Hey" — the tone of 2014's emails could be more accurately described as "Scientist who just found out a catastrophic meteor is crashing into Earth." Of course, sensationalism is a bipartisan trait. The DCCC's Republican counterpart, the National Republican Congressional Committee, has used the Benghazi terror attack as a fundraising tool — drawing scorn from members of its own party, including Rep. Trey Gowdy, the chairman of the House select committee on Benghazi. The NRCC has also already registered at least 15 fake websites masquerading as Democratic candidates to negatively target them. The NRCC doesn't share how much money it has raised through online donations, but expressed confidence in its game. "Throughout the cycle, we've expanded our digital fundraising efforts and have seen incredible growth," NRCC spokeswoman Andrea Bozek told National Journal. "They have President Obama, Vice President Biden, and Nancy Pelosi out there raising money for them left and right. They'll stop at nothing to take back the House." On Thursday, the DCCC reserved nearly $44 million to spend on television ads in 36 congressional districts. Compare that number with 2010, when the organization reserved $28 million to spend on advertising. As Scott Bland wrote in February, House Democrats have successfully outraised House Republicans since 2011, despite being in the minority. Overall, the DCCC has raised more than $106 million so far this election cycle; the NRCC has raised nearly $86 million. 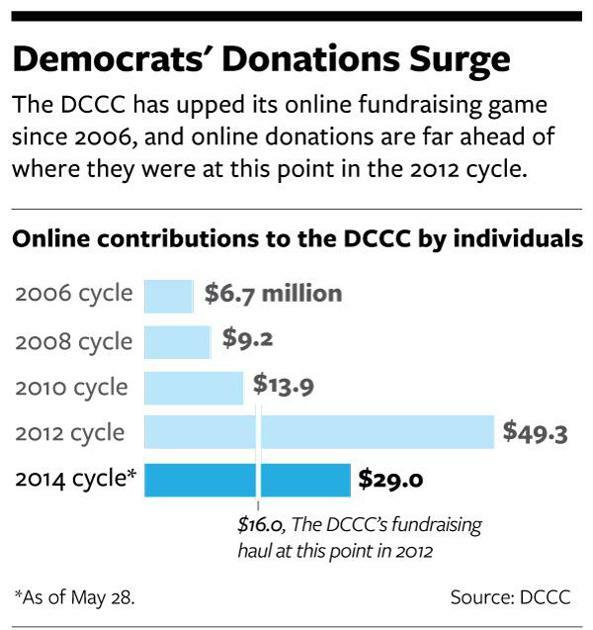 "Starting in the 2012 cycle, the DCCC has seen an explosion in online donations," DCCC spokesman Josh Schwerin told National Journal. "We rely on our grassroots supporters to keep pace with the millions of dollars we face from the likes of the Koch brothers." Schwerin did not say whether the DCCC's dramatic subject lines are more successful at getting people to open the emails — and their wallets. But it's safe to assume that, if they keep returning to the same tactic, it's probably working. These types of emails undergo rigorous testing, from their subject lines and message wordings to their formatting and the amount of money they ask for. The Obama campaign team would test dozens of variations before settling on the perfectly calibrated email blast. As Toby Fallsgraff — the former email director for the Obama campaign — told Businessweek, "When we saw something that really moved the dial, we would adopt it." This type of digital analytics has become increasingly important to campaigns that depend on wads of cash for success. And that analysis says the Koch brothers are the bogeymen under Democratic donors' beds. Correction: An earlier version of this story used an incorrect number for 2014 fundraising totals from the DCCC.